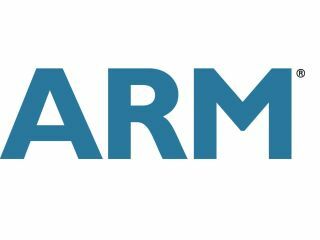 ARM has announced a collaboration with GlobalFoundries that it believes will provide the system on a chip technology (SoC) for powering the next generation of products and applications. ARM's increasing influence is clear and a collaboration with GlobalFoundries brings two new technologies that use the smaller 28nm process. Those are a Super Low Power (SLP) process variant for mobile and consumer applications and a HP (high performance) process for more powerful performers. The upshot is that ARM believes it is setting the stage for a 40 per cent increase in computing performance and 30 per cent improvement in power efficiency for the next wave of mobile devices. "The success of the next generation of mobile products will be increasingly dependent on their ability to deliver PC-class performance, a highly integrated rich media experience and longer battery life," said GlobalFoundries Chief Operating Officer Chia Song Hwee. "These demands are going to require a strong technology foundation and close collaboration between industry leaders to enable an increasing number of design companies to unlock this innovation. "We are working closely with ARM to optimize the physical IP and implementation of the Cortex-A9 processor with our proven manufacturing experience in high-volume, advanced technology products, to deliver a fully integrated platform for leading-edge wireless products and applications." Production will start on the chips in Germany shortly, with an actual ETA on the chips not yet announced. "The transition to the 28nm technology node will be an important inflection point for wireless technology," said ARM president Tudor Brown. "Our collaboration with GlobalFoundries will enable customers to rapidly bring high-performance, low-power ARM technology-based designs to market on a 28nm HKMG technology that is ready for high-volume implementation. "The combination of GlobalFoundries technology, our leading physical IP solutions, and the full internet capabilities delivered by ARM processors results in a powerful integration of processing, graphics and power efficiency."